Chocoholics who want to enjoy delicious organic & vegan chocolate without feeling guilty! But seriously everyone should be able to enjoy chocolate! That’s why in de summer of 1995 Ton and Thijs decided to do something about the fact that there was organic alternative for al lot of delicious chocolate products. Therefore they made a list with popular chocolate products. In the time that followed they looked for organic alternatives for these products. After they finally found all the right ingredients, testing could begin! After a lot of tasting with friends and family they were ready to put a few products on the market. Everyone was very positive! Today the day this is the start of Bonvita and the start of the current product range from Bonvita. In the beginning our chocolate was only organic, but later on the dark and ricemilk chocolate also became vegan and gluten free. What makes Bonvita unique is that all the delicious dark and ricemilk chocolate products are organic, vegan, lactose and gluten free! But what exactly does this mean? First of all, all our products are organic and labelled with the European organic label. This means that at least 95% of the ingredients from the product must be organic. 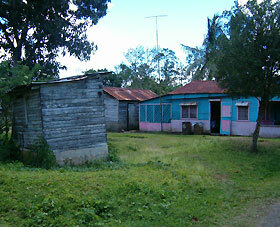 It also has to be clear were the ingredients come from, for example all of our cocoa comes from the Dominican republic. Last but not least no chemicals or fertilizer can be used in the entire process. We find all of these points very important, because we believe that by focusing on what’s best for the environment and for you, we want to create a better world and a better health for everyone. Beside that our chocolate is organic, it’s also vegan! Normally a lot of chocolate contains dairy, but we replaced those ingredients with rice milk. This way, also people who want to eat vegan or are lactose intolerant can also enjoy our chocolate. We find it very important that there is no trace of gluten in our products. That’s why all of our gluten free products are produced in a dedicated gluten free facility. 100% of the cocoa we use for our chocolate is fair trade cocoa from the Dominican Republic. 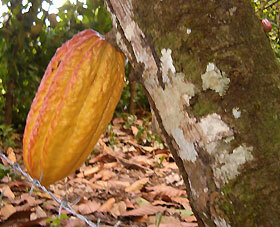 We find it very important that the farmers get a fair price for their cocoa. But maybe you’re wondering why our products don’t carry the fair trade logo. Well that is because recently we found out that the extra contribution for carrying the fair trade logo goes directly to big companies in Europe for marketing. None of this money goes to the people who need it! That's why Bonvita decided to not carry the fair trade logo and instead donate that money directly to the Dominican Republic by supporting an International Children’s Care project in the Dominican Republic.